Does your computer hangs up during some operation or any programs need more RAM to run? Then you are in the right place here I have a solution for you, now you can use your pendrive as RAM. 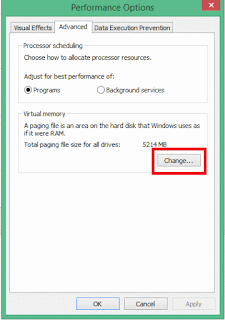 If you run number of application at same time then your system will become slow or any application may show Not Responding.To avoid this problem you should upgrade or increase your RAM. But it is not possible for everyone to upgrade RAM. To solve your problem easily you can use pendrive as ram to increase RAM.You can convert your pendrive to a virtual RAM to speed up low ram systems.This will not work as the actual device RAM but it can give your better performance. 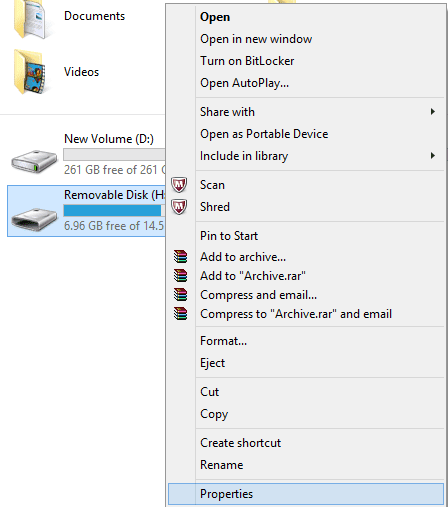 Step 1: Insert your pendrive and right click on your pendrive. Step 2: Select Properties now navigate to Readyboost. Step 3: Now Click on Use this device then allocate memory as your wish. Step 4: Then click on OK button. Now you will get a Readyboost file in your pendrive. 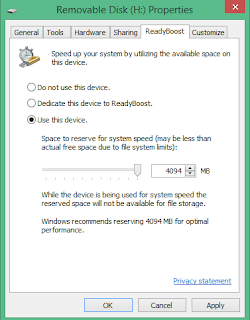 If you want to change back to normal state then Click on Do not use this device (Step 3) and then Readyboost file will be deleted automatically from your pendrive. 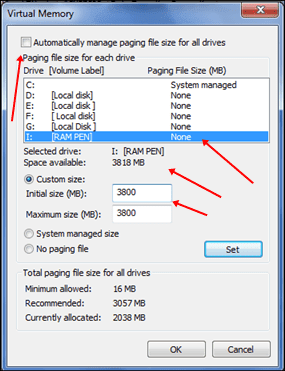 The Readyboost method is not working on Windows XP.So you can follow the below method to increase RAM using pendrive. 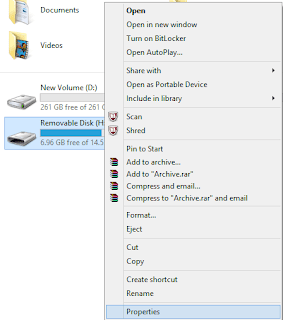 Step 1: Insert your pendrive and right click My Computer. Step 2: Then go to Properties of My Computer. 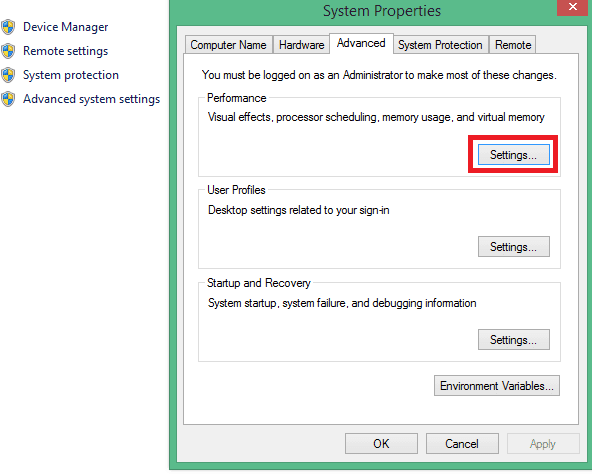 Step 3: Then click on Advanced System Setting and now you will get another window System Propreties. Step 4: Then in Advanced tab click on Settings button available in Performance tab. 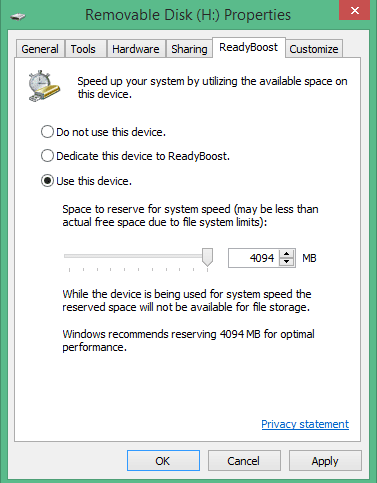 Step 5:Again you will get another window Performance Option in that click on Advanced. 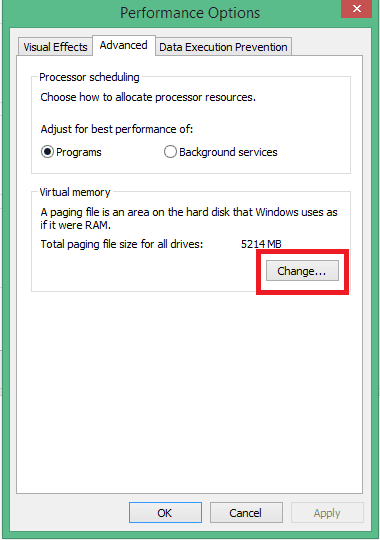 Step 6: Then in virtual memory box click on Change Button. Step 7:Now you will get Virtual memory dialog box.Here Uncheck Automatically manage paging file size for all drivers. Select your pendrive and add Values in Custom Size both initial size and maximum size. 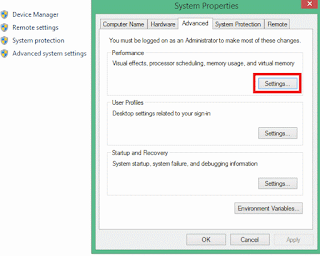 Step 8: Then click on Set button and restart your computer then your pendrive will work as virtual RAM. Don't forget to Eject your pendrive before removing otherwise it may leads to device damage. 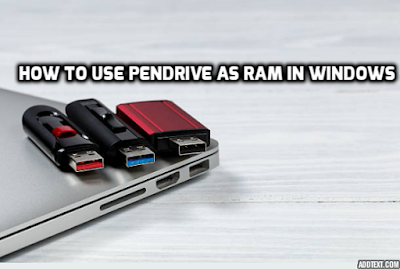 I hope you liked this post How To Use Pendrive As Ram in Windows XP 7 8 10.So now Please share this post on social media using sharing buttons below to support us.